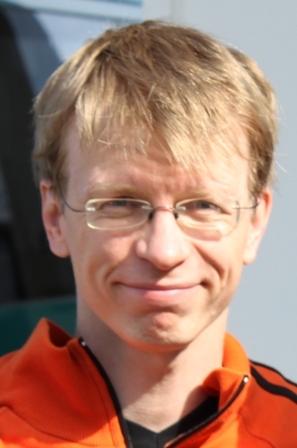 Turo Hiltunen is a University Lecturer (tenured) at the Department of Languages, University of Helsinki, where he teaches corpus linguistics and other digital approaches to the study of English. His main interests are corpus linguistics, grammar, phraseology, and scientific discourse, past and present. Hiltunen is a member of Demo­crat­iz­a­tion, Me­di­at­iz­a­tion and Lan­guage Prac­tices research project (Academy of Finland, 2017–2020) Hiltunen has extensive experience of corpus development, and has worked in such projects as The Corpus of Early Modern English Medical Writing, the ARCHER corpus, the corpus of Late Modern English Medical Writing (forthcoming), and the Hanken Corpus of Student Writing in Economics. Hiltunen, T., 19 Nov 2010, Helsinki: Turo Hiltunen. 394 p.
Gray, B. E., Biber, D. & Hiltunen, T., 2011, Medical Writing in Early Modern English. Taavitsainen, I. & Pahta, P. (eds.). Cambridge University Press, p. 221-247 (Studies in English Language). Hiltunen, T., 2010, Constructing Interpersonality: Multiple perspectives on written academic genres. Lorés-Sanz, R., Mur-Dueñas, P. & Lafuente-Millán, E. (eds.). 1 ed. Cambridge: Cambridge Scholars Publishing, Vol. 2010. p. 181-204 24 p.
Palander-Collin, M., Nevala, M. & Hiltunen, T.
Hiltunen, T. & Mäkinen, M.